Nickie has good taste for the finer things in life, including lovely scenery, delicious foods, and pretty jewelry. 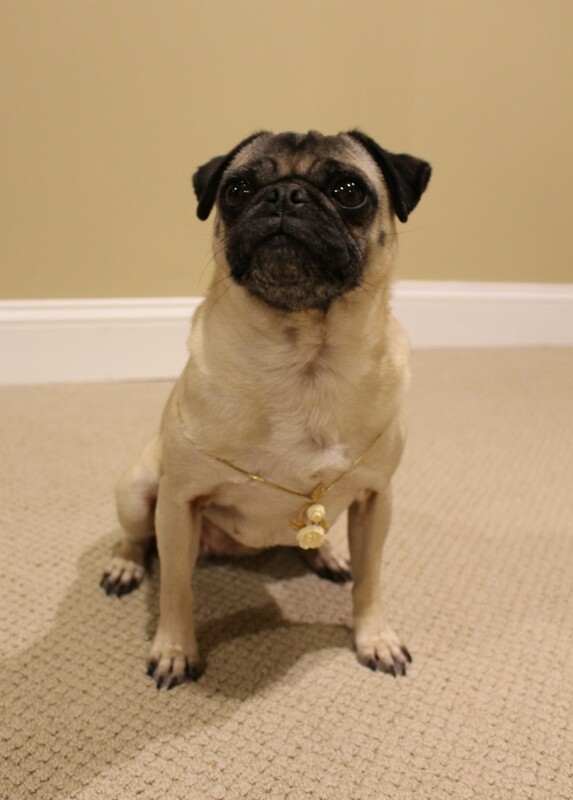 Here she has selected a pretty gold necklace. We think the cream colored flowers really go well with her coat. 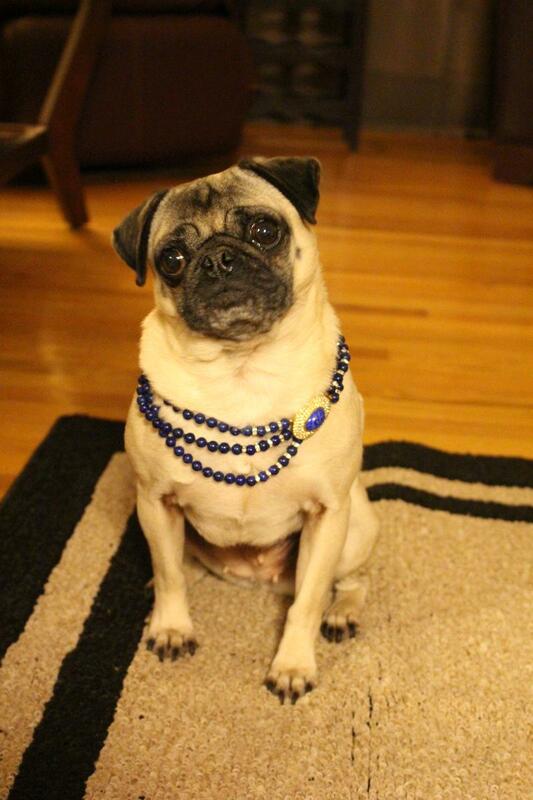 Every girl likes to feel glamorous, and Nickie is no exception. Deep down beneath the wrinkles, the rolls, and the snoring, she is definitely a little princess. 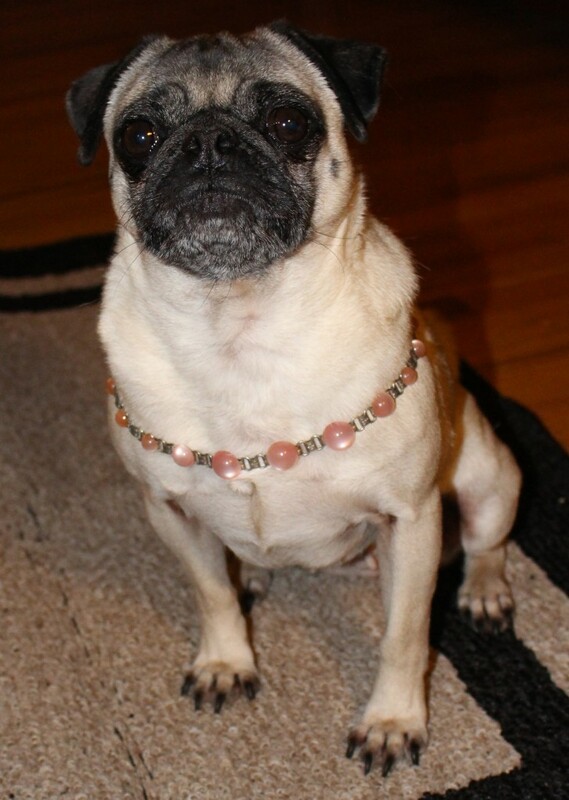 Sometimes you just need a great piece of jewelry to feel all dressed up, and necklaces are Nickie’s favorite. 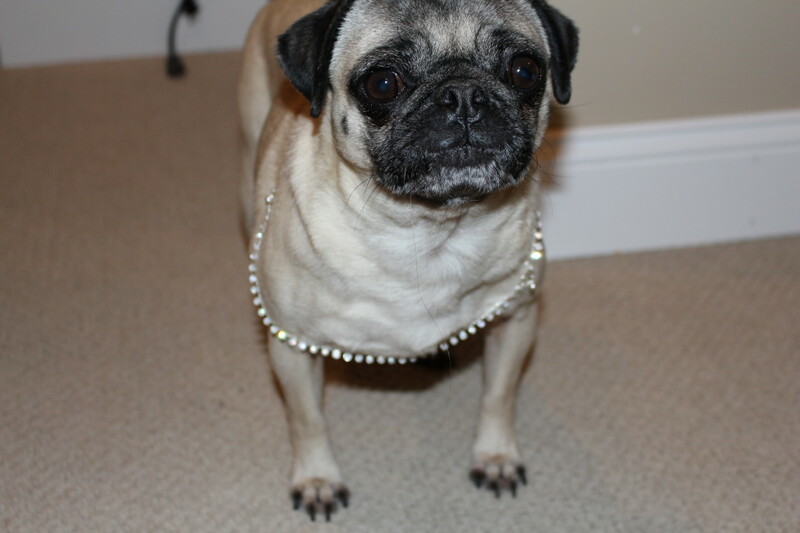 Of course our pug Nickie is stunning with or without her accessories, but sometimes it’s fun to add a little extra sparkle to make a statement. 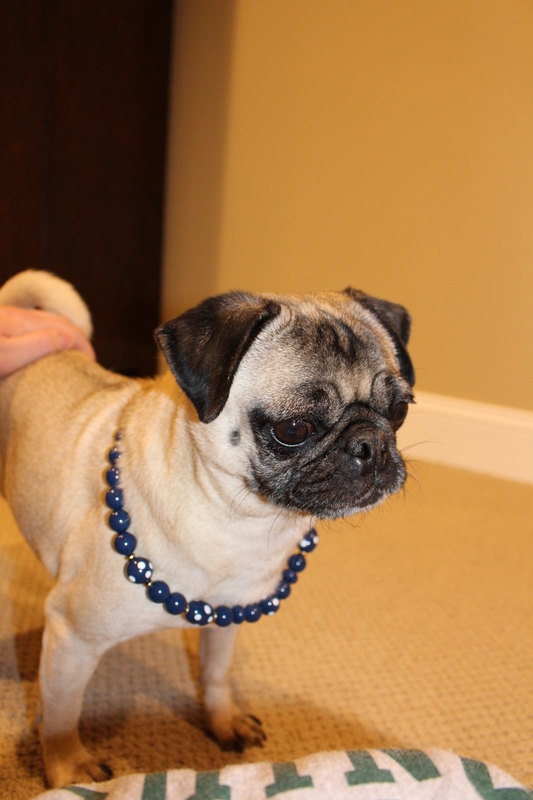 We think blue is really her color, and she is looking marvelous in her pretty blue necklace today.